← Hell Razah @heavenrazah @ghettogovt February Newsletter! My question is, is THIS what we have become? Are we truly living in a day and age where mindless entertainment and the almighty dollar have blinded us as a people to the point that we allow things like this to happen? I don’t think I have words to express my disgust. George Zimmerman is an un-convicted murderer. He factually shot & killed an unarmed child. 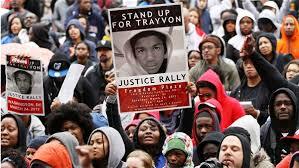 Trayvon Martin is dead. 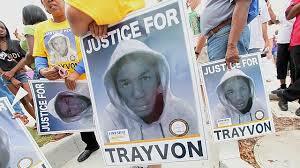 Although in the courts, Mr. Zimmerman was not found guilty of murder, he still shot Trayvon, Trayvon is dead. Months later, Mr. Zimmerman was actually arrested and found guilty of beating up his girlfriend. I’m not going to paint the picture of his character, he has done that. I’m not judging him, God will do that. This man is not a celebrity, he shot and killed a kid. 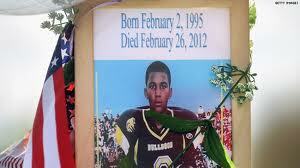 He just wasn’t found guilty of murder, but he did in fact shoot Trayvon and Trayvon is dead. To put Zimmerman in a “Celebrity Death Match” costs money. The entertainment world doesn’t like to waste money, they like to make it. Believe you me, the only reason this has come up is because they KNOW there is a market for it. If they were convinced the consumers would be outraged and boycott this episode, it wouldn’t be happening. Basically, they think you’re stupid and if you watch or support it? You are in fact stupid. After the fight then what? All people will remember is that DMX beat him up and it will take away from the fact the reason he was in the line up to fight was because he shot an unarmed child not to mention, he’s gonna get PAID. I urge you to not be who the media thinks they’ve melted your brain enough to be and that is a generation of people that will watch or support this attempt to cash in on the death of a child. The petition below to stop the match from happening was started by Ms. Janet Dickerson who decided to take action instead of bashing Damon Feldman (Celebrity Death Match) on social media. Posted on February 6, 2014, in Community Educational Resources and tagged Celebrity Death Match, DMX, Entertainment, George Zimmerman, Hoodies Up, Justice for Trayvon, Money, Petition, trayvon martin, Trayvon Petition, Zimmerman. Bookmark the permalink. Leave a comment.